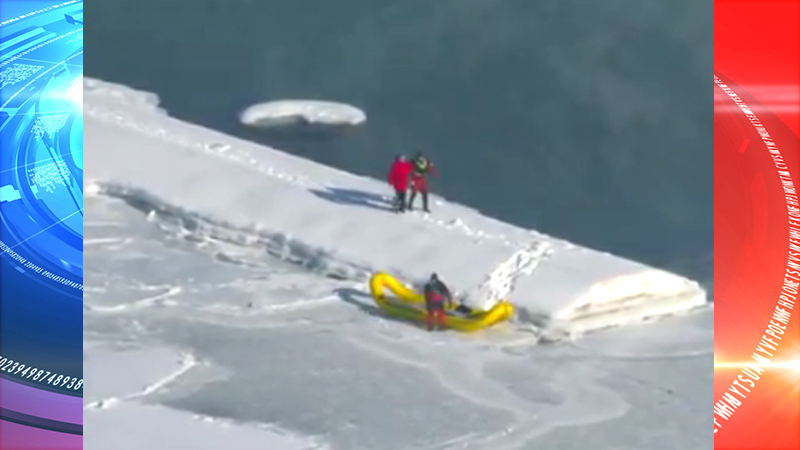 CHICAGO, IL — A 20-year-old man was rescued Wednesday in Chicago after he walked across the ice on Lake Michigan. A video shows the man walking along a break-front on the lake near the Gold Coast at about 1:45 p.m. The Chicago Fire Department’s scuba team went out onto the lake to rescue the man in the 1100 block of North Lake Shore Drive. The video shows first responders walking out onto the ice and using a yellow flotation device to bring the man to safety. Although no injuries were reported, the man was taken to Northwestern Memorial Hospital for observation, authorities said. The man was given a citation for conduct on a beach jeopardizing his safety, police said. Many weather alerts and warnings have been issued during the record-breaking cold temperatures across the Chicago Area. People are asked to stay away from the icy lake and not put first responders’ lives at risk.